Are you visiting London for a holiday? Why not stay in Carlton Court’s spacious 1, 2 or 3 bedroom apartments. Located in Mayfair, our serviced apartments are a fantastic alternative to a hotel, offering you privacy, freedom and a more intimate experience. You can feel at home in our self-catering flats. 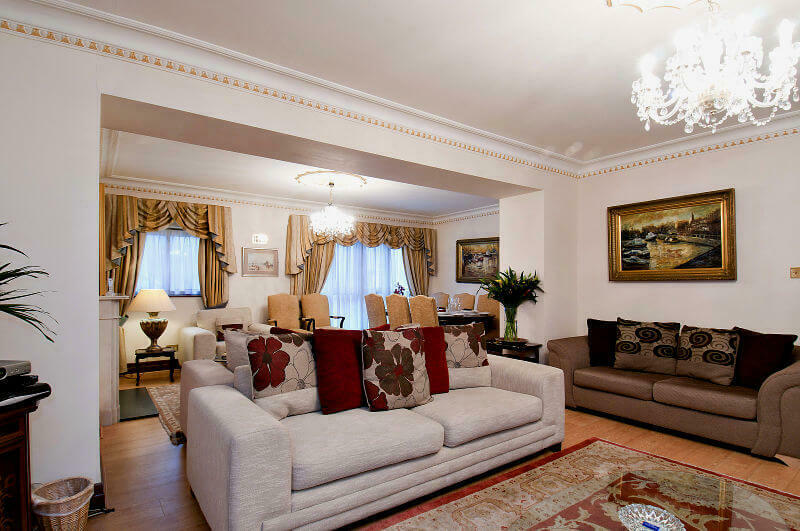 ●	Central location: Our serviced apartments in London Mayfair enjoy a central location and are in close proximity to theatres, restaurants, shopping areas, parks and major tourist attractions, such as Buckingham Palace, Bond Street, Oxford Street, Knightsbridge and Park Lane etc. ●	Equipped with modern facilities: The self-catering flats offered by Carlton Court boast exquisite interiors and are furnished to meet the highest demands of comfort. Our apartments feature facilities such as spacious bathrooms with power showers, Free Wi-Fi, LCD TV’s, music systems, fully-fitted kitchens, and much more. ●	Housekeeping services: Our aim is to provide you with a relaxing environment without any hassle. The daily household chores such as cleaning, changing the linen, towels and so on, are taken care of by our housekeeping experts. Our maid service is available 7 days a week. ●	Extremely affordable: Compared to hotels or any other type of accommodation, the rental rate of our serviced apartments are excellent value. Whether you are travelling alone or in a group we have an apartment to suit you at a price that is affordable. The sheer flexibility and convenience offered by our self-catering apartments are reason enough for you to consider staying with us on your next visit to London. Whilst you are staying with us, allow us to treat you to a sumptuous breakfast buffet every day of your stay. Feel free to contact us for booking and tariff details.